Details of EMS proposal from county to Liberty Twp. The Liberty Township Board of Trustees will meet at 7 p.m. on Monday, Dec. 3, and given recent events, trustees could face a capacity crowd of residents who have expressed their concerns over the past few months about a proposal from the Delaware County Board of Commissioners to acquire the township’s emergency medical services (EMS). Trustees received the proposal Wednesday from the commissioners. It outlines what would occur if the township were to have the county acquire its EMS. On Thursday, county commissioners were asked to withdrawal the proposal by Liberty Township residents as a way of slowing the down the process. Commissioner Barb Lewis asked for a second on a motion to rescind resolution 18-1315, which was approved by majority on Monday and put the proposal in the trustees hands. Neither of her fellow commissioners, Gary Merrell or Jeff Benton, seconded the motion. • Delaware County EMS will rent space at both Liberty fire stations (321 and 322) for $18,500 per year, per each station. • Delaware County EMS would discontinue the practice of compensating the Liberty Township Fire Department on a per-run basis for EMS responses as provided by the current intergovernmental services agreement. The annual average cost to the county since 2014 is $233,000. • The county will purchase the two existing ambulances owned by the township at a “fair market value,” which is estimated at $340,000 total. The ambulances would be labeled “Delaware County EMS” and also identified they are serving Liberty Township. The county is responsible for all operational costs of the ambulances. • The Delaware County commissioners have an expectation of the Liberty Township trustees that there will be a significant decrease in the cost to the residents of Liberty Township as a result the county providing EMS services. • If this proposal is accepted, Delaware County requests that Liberty Township provide documentation that outlines these future savings prior to finalizing a formal agreement. • Delaware County EMS is to provide two Advanced Life Support (ALS) ambulances with one each located at Liberty Township Fire Station 321 on Liberty Road and the other located at Station 322 on Sawmill Parkway. Both ambulances will be staffed with two paramedics, 24 hours per day, 7 days a week. In a July 2016 interview, Delaware County EMS Chief Michael Schuiling told The Gazette: “Each ambulance is staffed with three paramedics at all times.” In a phone interview Thursday, he was asked when the number of staffing in an ambulance changed. “Recently,” he said. “Most of our staff is still three to a truck.” However, he said studies show there is no greater advantage to having three versus two. In the first quarter of 2019, Schuiling said his department is in the process of adding Quick Response Vehicles (QRV). He explained a QRV would not transport patients, but would be an extra set of hands dispatched to the scene when help is needed with a patient. Schuiling said it is a more efficient working model than always having three staff members to an ambulance. • The county would be responsible for all operational costs, including, without limitation, durable and non-durable medical supplies, training and medical direction. • The township fire department will work cooperatively with Delaware County’s EMS and the 911 Board to assist in the implementation of an automatic vehicle dispatch system and establishment of standard response protocols. • The township’s fire department will work collaboratively with the county’s EMS to continue to provide first response support services to compliment the proposed ambulance service. • The county will implement soft billing for the EMS services provided in the township. • The county EMS will provide cooperative training to fire department personnel to maintain EMS certifications. 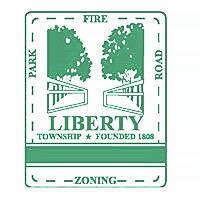 Monday’s Liberty Township Board of Trustees meeting will be held in the township hall located at 7761 Liberty Road, Powell. This entry was tagged Commissioners, D. Anthony Botkin, Delaware County EMS, Mike Schuiling. Bookmark the permalink.